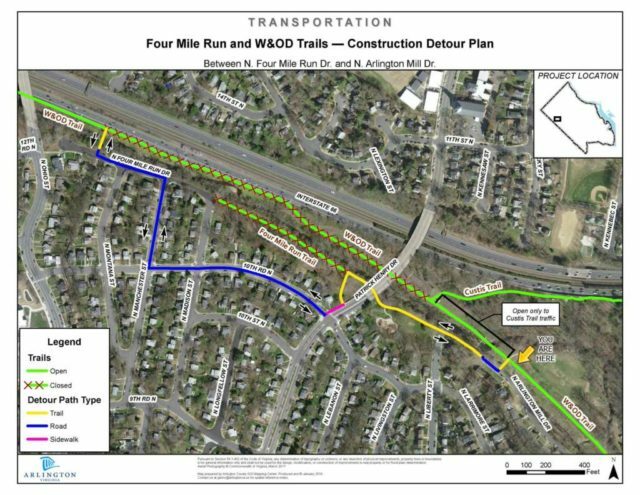 The W&OD and Four Mile Run trails in Arlington will be closed for six weeks starting the week of Feb. 18. The closure begins at N. Four Mile Run Drive and ends at the Custis Trail. Oakton alumna Keira (Carlstrom) D’Amato and Vienna resident Perry Shoemaker were the USATF Virginia open and masters athletes of the year, while Patriot alumna Rachel McArthur was the female under 20 cross country athlete of the year. Chantilly alumnus Sean McGorty qualified for the world indoor track championships, running 13:21.35 for 5,000 meters at the BU Valentines Invitational. Gonzaga and Georgetown alumnus Collin Leibold (3:59.51) and Georgetown senior Spencer Brown (3:59.97) broke the four-minute mile barrier. Anthony Crawford, who is charged with the murder of D.C. runner Wendy Martinez last year, was found not competent during a mental health screening, WTOP reports. Arlington’s Mike Wardian has submitted his ten-marathon total of 2:12:46 to the Guinness Book of World Records for ratification. He followed the World Marathon Challenge with three marathons run on Hains Point.